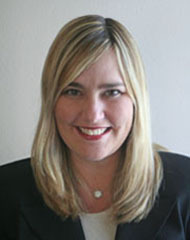 Dr. Christin Field is a native Southern Californian, who moved her OB/GYN practice to Thousand Oaks in 2007. She resides in the local area with her husband and two children, and is affiliated with Los Robles Hospital & Medical Center in Thousand Oaks and the Thousand Oaks Surgical Center. Dr. Field received her undergraduate degree from USC, and her Obstetrics and Gynecology Residency training at Loma Linda University Medical Center. She is Board Certified in Obstetrics and Gynecology, and received her Medical License in 2001. Dr. Christin Field enjoys living in the Conejo Valley, and looks forward to meeting new patients, as well as continuing to build relationships with her existing patients. Dr. Field limits the number of deliveries that she does each month, which allows her the time to develop a personal relationship with each of her patients. With two young children of her own, Dr. Field understands what an important, exciting, and stressful time pregnancy is. She is attentive to her patients needs, and individualizes her care so that her patients may have their ideal "labor and delivery" experience. Dr. Field's goal is to deliver as many of her own patients as possible. When she is unavailable, she has another Board Certified OB/GYN physician covering her patient's deliveries. Through the process of pregnancy and childbirth, Dr. Christin Field will be there to educate and encourage you, with her first priority being the health of you and your baby. Working alongside Dr. Field, is Diane Milstead, a Certified Nurse Midwife. She is an experienced Labor and Delivery nurse at Los Robles Hospital, and provides general Obstetrics and Gynecology care in our office. Though she does not deliver our patients, she enjoys educating and sharing her expertise throughout the course of your pregnancy. During labor, Diane may be involved with your nursing care at Los Robles Hospital, along with the many other excellent nurses on staff. Several of your prenatal care visits will be scheduled with Diane Milstead, CNM in our office. From annual female exams, to contraception options, abnormal PAP smears, infertility evaluations, treatment of menopausal symptoms, cancer prevention, and abnormal bleeding concerns, Dr. Field will educate you on the choices available and guide you through your treatment. She is an experienced surgeon, who performs procedures such as abdominal and vaginal hysterectomies, laparoscopic ovarian surgery, tubal sterilizations, excision of uterine fibroids, and endometrial ablations - offering the most appropriate and least invasive method to treat your symptoms. Dr. Field has privileges to performs her surgical procedures at both Los Robles Hospital & Medical Center and Thousand Oaks Surgical Hospital. All of her deliveries are performed at Los Robles Hospital in Thousand Oaks. Along with an excellent Labor and Delivery Unit, Los Robles Hospital also has a level II Neonatal Intensive Care Unit, and a Perinatologist on call 24 hours a day. Thousand Oaks Surgical Hospital has been named one of the top hospitals in California for patient satisfaction by Consumer Reports. This office accepts many PPO insurance plans - including Blue Cross, Aetna, Cigna and Health Net. Please call us to confirm your eligibility.